Tax hit and invest or short term annuity? You have 100k in long term capital gains from a property sale. Do you take the 25k tax hit and invest the 75k lump sum or create a short annuity via a structured sale to avoid capital gains tax? Pay the 25k tax. Invest 75k now. Take a 5 year annuity paying ~20k per year, avoiding capital gains tax. I thought this would be a fun poll based on a personal situation I'm about to face. You've just FIRE'd and now you're selling a property that will yield 100k in long term capital gains. You could take the lump sum, pay the tax owed (including state tax), and invest the remainder, or you could perform a structured sale where a short annuity pays you 20k per year plus interest (whatever the going rate is for the annuity) for the next 5 years. Since you've FIRE'd you anticipate paying no capital gains tax on the annuity. If the market continues performing well over the 5 years, the "invest now" option is the clear winner. If the market under performs over the next 5 years the annuity is the winner and it may save you from doing anything rash in a correction. (You say you can tolerate a crash but you've never experienced one with significant money in the game.) Which do you choose? Re: Tax hit and invest or short term annuity? Crickets. I think this may be a hint that I'm a nerd. Your assumptions dont seem to make sense to me as a realistic scenario. How do you manage to avoid capital gains taxes by structuring the sale proceeds as 5 equal annuity payments? That doesnt seem to match an acceptable tax treatment of a sale, but I am not a certified tax advisor. A structured sale is an approved vehicle by the IRS. The money is not actually taxed until the year in which the seller receives it because it is handled by a third party just like a 1031 exchange. That third party buys the annuity for the benefit of the seller at whatever terms the seller dictated in the contract. If you have no major income coming in, 20k+ in long term capital gains each year for 5 years is taxed at 0%. ok. thats a pretty easy NPV calc. so it depends on your stock market growth rate and the discount rate assumptions that you applied to the future income streams. I would suggest you make a simple spreadsheet. Also, since legal papers are not free, I would suggest you get a quote for the legal fees required to structure the deal, as these may not be a trivial consideration. If it was that easy, my guess is we would see more frequent structured payments like you outline. We looked into a 1031 exchange on an investment and the documentation and timing required was pretty strict, so we just paid our cap gains. It was not easy to reduce the hit from capital gains without some IRS audit risk. That said, few are also really in the 0% cap gains space for 5 years, especially since this perdon is selling properties. If the cap gains are only slighly lower vs 0, the benefits are lower, so it may not be certain to assume 0 for the future payments if you have any non tax deferred assets. The answer may depend on country or state taxes avoided. Does this reduce state sales tax as well? I finally found an company that can get me real numbers. The underwriter of the annuity would be Principal Financial Group. I've asked for terms for a 5 year annuity based on a 105k payment. Will be interesting to see what they come back with. There is a $2,000 trust fee and all other expenses are baked into the terms we're given. Yes, this can also reduce state taxes depending on other income. If we have little or no other income for the year, our exemptions and deductions will cover a significant part of the payment each year, making that effectively a 0% tax rate as well. You don't see this done very often because most people already have income so they're paying the same tax whether it's this year or next. However, an early retiree doesn't have those constraints. I can simply defer the start of my Roth IRA conversion ladder while I'm receiving the annuity payments. The annuity payments are also low enough that we remain positioned well for ACA subsidies if that was something we wanted to take advantage of. If this were the simple sale of a house, an installment sale that keeps the liability with the buyer would certainly be easier. However, this is a sale of land that will be subdivided and built on, and I don't want my future payments dependent on whether the buyer remains solvent. I suppose this thread is firmly in the "Real Estate" category now. I'll see if a moderator can move it. It's interesting information that could be a viable option for an early retiree. Some interesting data that I wanted to place here for future searchability. Based on today's annuity rates, a 180k purchase price would turn into $2,918.13 per month for 5 years. That rate has the expenses of running the structured sale's trust baked into it. In total it returns $175,087.88. Our basis in the sale is 40% of the sale price. So only 60% of the monthly annuity payment represents capital gains, or $21,010.54 a year. If we are no longer working, that figure is low enough that we pay no capital gains tax, virtually no state tax (a few hundred dollars), and we're still well positioned for healthcare through the ACA. In our case, taking the lump sum from a normal sale would cause 25k in long term capital gains tax and state tax combined. We would net 155k from the sale. Here's how cfiresim compared the 5 year return on investing 155k now in 80/20 stocks/bonds w/ 0.08 expense fees to investing $35,017/year for 5 years in the same asset allocation (minus $430 in state tax "spending" per year). The annuity is pretty close in performance to the lump sum investment. I thought this is particularly interesting in our current market environment, given that there has to be a pull back at some point. I'm sure more people are betting on the market under performing over the next 5 years than over performing. The structured sale option (annuity) would provide almost our entire planned expenditure (FIRE'd on $1 million liquid assuming a 40k spend) for the first 5 years of our retirement. We haven't lived through a big market crash with significant funds invested. I think I wouldn't panic sell, but I don't have the experience to back that up. For the tiniest bit of sacrifice in performance I could potentially buy us a "don't care" card. 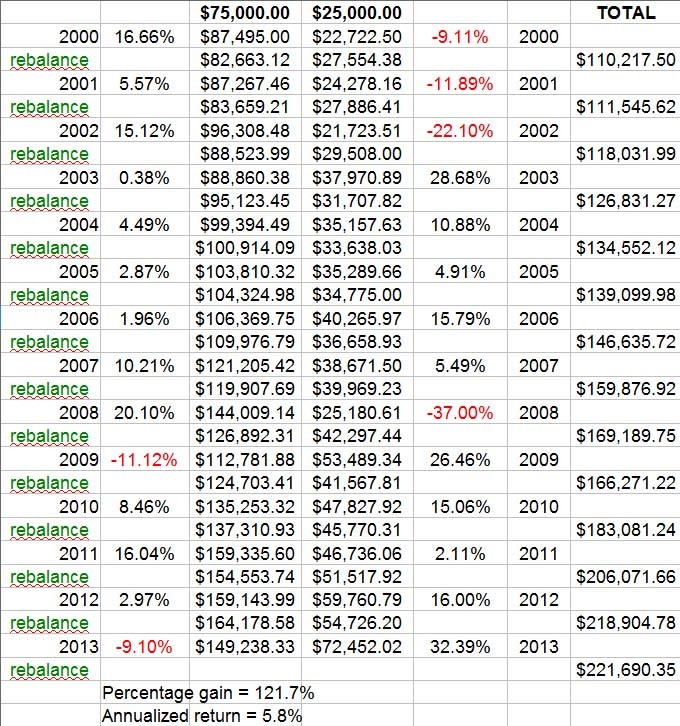 If the market did crash in the first couple years, I would definitely be nervous about sequence of returns risk if I was spending down my portfolio. Since I would no longer be doing that I doubt I'll care about a crash because I know recoveries are fairly quick. A structured sale seems like an interesting tool in the toolbox for a very narrow range of situations. I think that an early retiree selling a substantially appreciated asset could be a situation where it merits consideration. The one down side is that if we did earn significant income during the annuity period, we would likely end up paying all the same taxes that we would have on a lump sum sale. In that case the annuity's performance takes a considerable hit. The tax savings seem like it would make it worthwhile doing the structured sale. I would pay the taxes and invest it. Even if you make a few dollars more with the annuity (no guarantee either way) I wouldn't feel it's worth the extra hassle. where a short annuity pays you 20k per year plus interest (whatever the going rate is for the annuity) for the next 5 years. You would EASILY beat that with 30% in an S&P 500 index fund and 70% in a total bond market index fund. Even from 2000 to 2013 a 25/75 mix returned 5.8% annualized return on investment. http://investingadvicewatchdog.com/images/quiz-3.jpg These were the worst of times. Now imagine average or good times! You easily double those annuity returns. There is no annuity that pays you 20% per year. You may want to read about Structured sales. OP is not talking about the index annuities we know and hate. You don't compare an annuity to 80% stocks. Correct. And Mr. Green did not. A third alternative would be a seller-financed mortgage. Desirability would depend on the interest rate one could get, etc., but this way instead of paying a third party to run the structured sale, one gets the sale price plus interest over time. In my particular scenario a seller-financed mortgage won't work because the buyer needs the title to the property almost immediately. They'll be subdividing the property and they can't do that without the title, I don't think. It's also a small home builder so I don't want to trust that they'll stay liquid long enough to complete the mortgage payments. If we were selling a house, this could totally be an option. Since we're near the end of the year we could consider an installment sale that would make one payment at closing and the remainder of the sale price on January 1 of next year. Closing will be mid-to-late November so we'd only be holding the title for 45 days at most. The buyer might agree to that and it would allow us to save capital gains tax on some of the money since our income will be lower next year. The biggest reason I looked into a structured sale was the idea of not caring about a market correction immediately after we've stopped working. That's a huge psychological win.